A laser distance meter works by sending pulse of laser light and measuring the time it takes to reflect the light. Processing the information further allows you to add, subtract, and calculate areas and volumes and to triangulate. 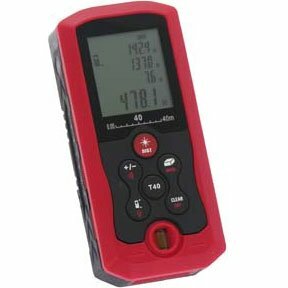 At SF Cable you can find good quality laser distance meter able to calculate distance up to 40m and the provide T40 accuracy for the same. Other products are also available. All our products are RoHS compliant that speaks for the safety of the product. Sourcing the products directly from the manufacturers let us cut costs and offer them at very competitive prices to our customers. You can also expect good after sales service and lifetime technical support on all our products.